CHESTERCO celebrates over 25 years of excellence. Founded in 1988, CHESTERCO provides a wide range of general contracting and construction management services. There's an archived About page for ChesterContracting.com from January, 2013. The contact address was 697 Lorimer Street, Brooklyn, NY, 11211. The contact phone number was 718-384-6732. Chester Contracting Company was founded in 1988 and incorporated in 1994, the President and Chief Executive Officer is Chester Konarzewski. Mr. Konarzewski has been in the building and engineering trade since 1971 in Poland when he obtained an engineering degree. He personally interviews and tests all prospective employees to assure that they will be an asset to the company; he also oversees all of the construction projects to assure quality control of the workmanship and timely progress in the job schedule. His belief in maintaining the highest standard in job site safety has assured a clean and accident free record. I checked the NYS corporate database, and indeed "Chester Contracting Corp." was registered on September 6, 1994. Its status is "Active." The company's CEO is Czeslaw Konarzewski, and the DOS Process address is 7 Broad St., Floor 2, Pawling, New York, 12564. 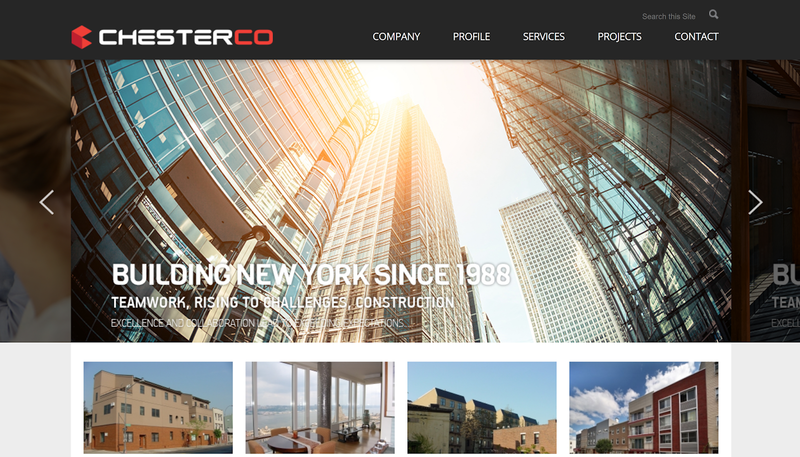 The Contact page on CHESTERCO.com shows the same phone number from the ChesterContracting.com site, and it has two different physical addresses: The "Upstate New York" address is 7 Broad St., Floor 2, Pawling, New York, 12564. Then there's a "Recently Moved to" address, which is 2549 NY-22, Dover Plains, 12522. So it certainly appears like "Chester Contracting Corp." and "CHESTERCO" are the same company. The earliest Contact page on CHESTERCO.com, from August of 2014, shows the address 33 Whitehall Street, 9th floor, New York, NY 10004. A Contact page from July, 2015, shows the address 77 Water Street, Floor 7, New York, NY 10005. A Contact page from August, 2015, shows a slightly different address: 77 Water Street, Floor 7,8, New York, NY 10005.